New York Yankees visual refresh for the 2018 season. When prompted to develop a refreshing look & feel for the 2018 season, the goal was to get butts in seats and sell more tickets. 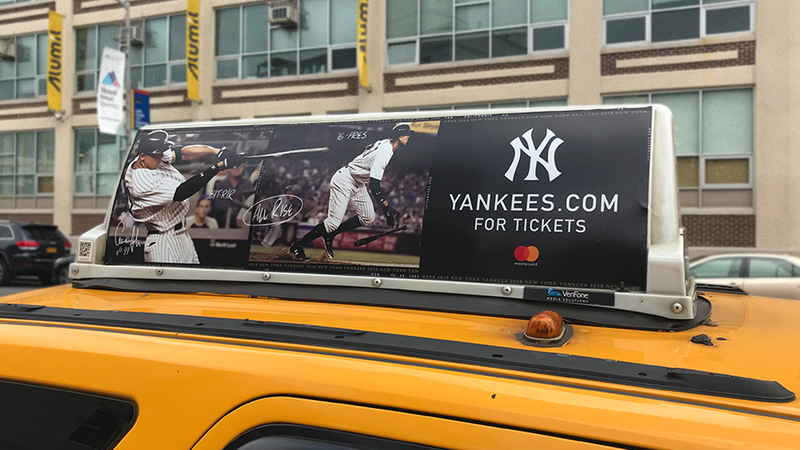 Aside from the Yankees' history, we discovered that current and prospective fans attended games because of their unpredictable outcomes—the idea that the future's unwritten. With each ticket representing a moment in time, we are putting the pieces of the story in the hands of the fans and allowing them to write the future themselves. The sequential frame-by-frame allowed mini narratives to develop within themselves and occasionally carry across multiple tickets. 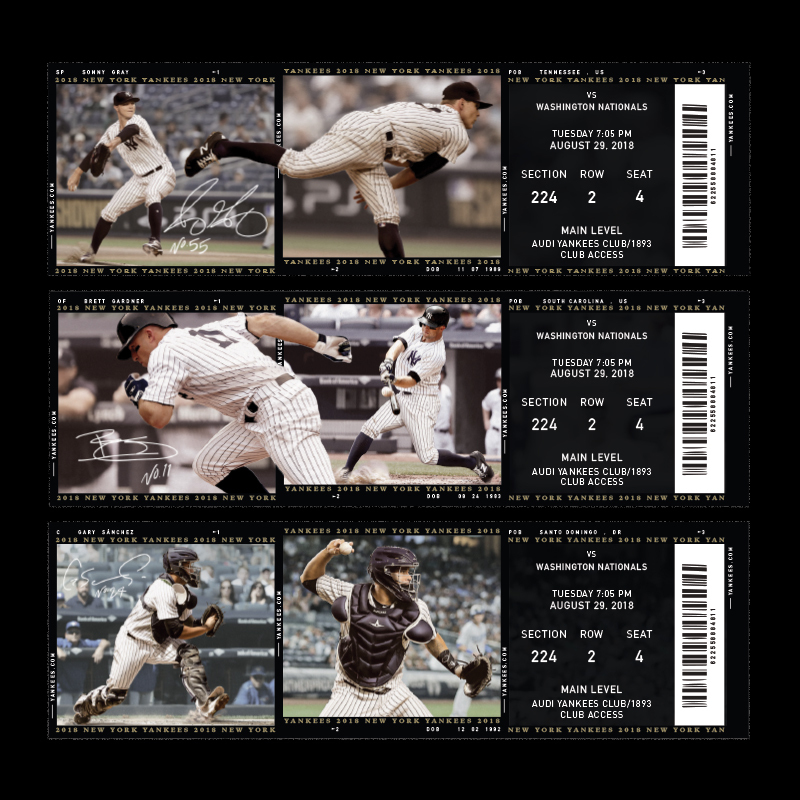 16 unique ticket designs were created for top-tier admission. Matte, gloss, and gold foil printing processes were applied to further the premium experience. 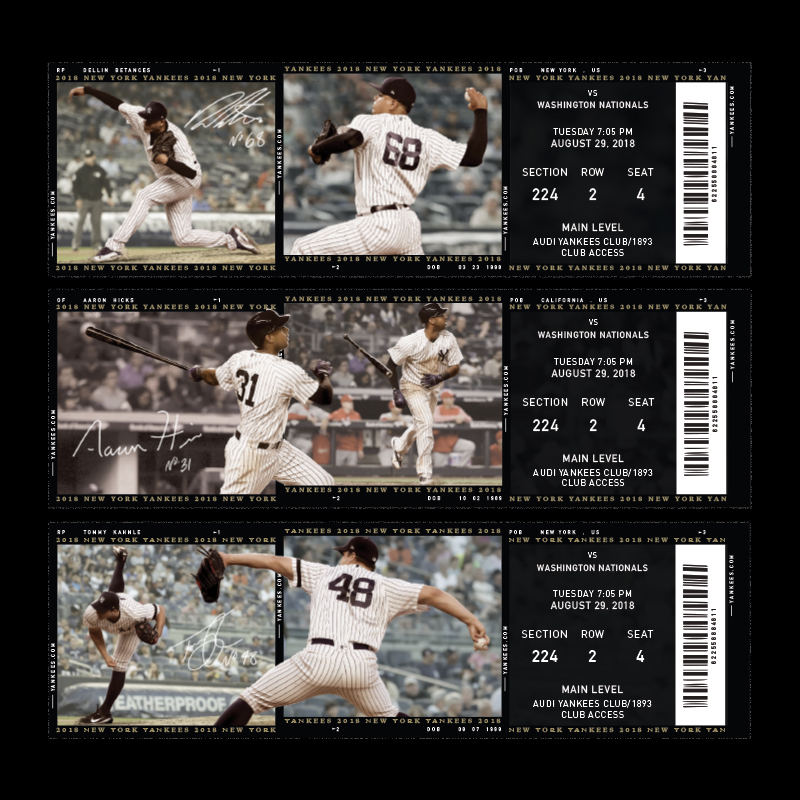 Each ticket was composited of two or more player sequences. color grading, contouring, hand lettering, and additional dust was then applied. 18 unique ticket designs were created for general admission. To keep cost down, these were printed without foil and gloss. The newly established look & feel was also applied to the in-stadium scoreboard for introducing players at bat. Digital templates were created for a re-imagined social presence. Conceptual build-outs included carrying the frame-by-frame player motion across tickets to continue the story from fan to fan.